The Random Blurb: REVIEW: Lego - It Never Fails To Entertain! This is my toy review to apply to become a Toyologist with Toys R Us - I think it is suitable for the 'Family Fun' or 'Rainy Days' review categories as Lego is good for most occasions! In fact today was a rainy day here in Liverpool and we wanted something to do as a family! 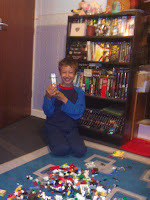 My 8 year old son, David really, really enjoys playing with his Lego - it keeps him entertained for hours sometimes. 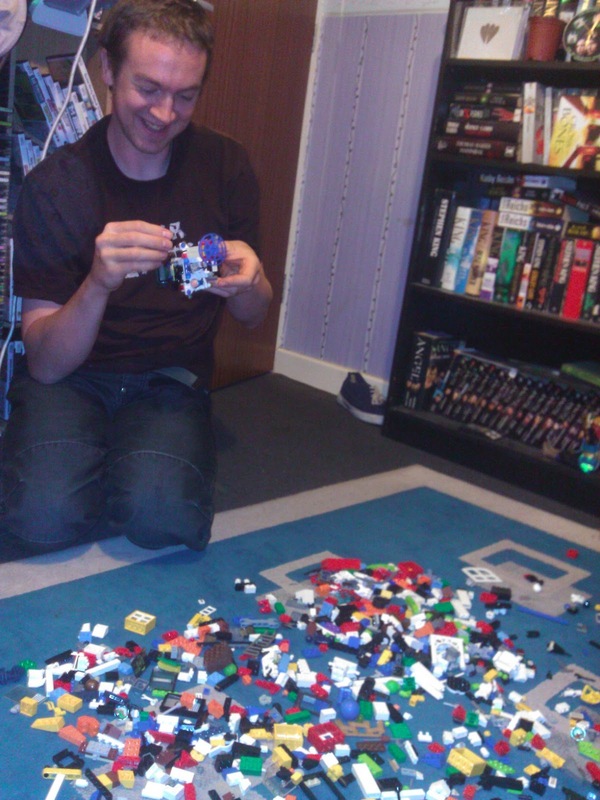 His 31 year old Dad, Paul is equally content when he's playing with Lego! 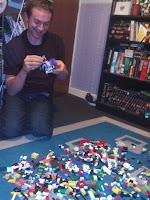 I don't mind joining in the fun, but I get annoyed when there's not enough pieces left for me because those 2 build stuff quicker than me! 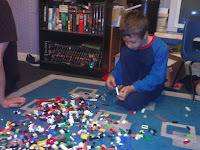 Today we were all playing with Lego as a family - David was off school today as his school was being used as a polling station, and as it was rainy out, Lego was his choice for us all to play together. 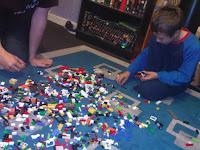 David doesn't have the biggest collection of Lego ever - he has a tub his Grandma bought him for a Birthday or Christmas a couple of years ago and he's enjoyed playing with it ever since. We also managed to get him a bag off a very kind freecycler whose child had grown out of it. We've also collected numerous free Lego sets out of the newspapers for David - though his collection still remains quite small - despite him not having much he makes all sorts of wonderful, imaginative creations from it. 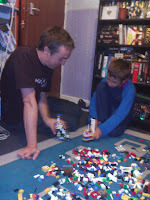 The thing I, as a parent, like most about Lego, is that it allows my son to be as imaginative as he likes and he comes up with very zany ideas, but it really gets him thinking - sometimes he puts more thought into what the thing he has made does than the time it has actually taken him to make it - he often comes up with very futuristic ideas about the 'functionality' of his creations - so all the time he is having fun, he's keeping his brain active which is something he wouldn't get from simply watching television. Above right, is a photo of our finished creations today. 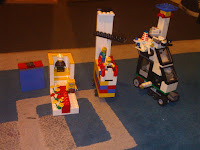 Mine is on the left - it's an important King on his throne with his minion SpongeBob SquarePants waiting to be of service alongside the red carpet which has flowers along the side and a seating area for visitors to the left. David's is in the middle - in his words, "It's a double decker bus that has boosters to make it go fast and a sun shade. It has a propeller to make it fly and it can go into water too" - that is word for word what he told me. 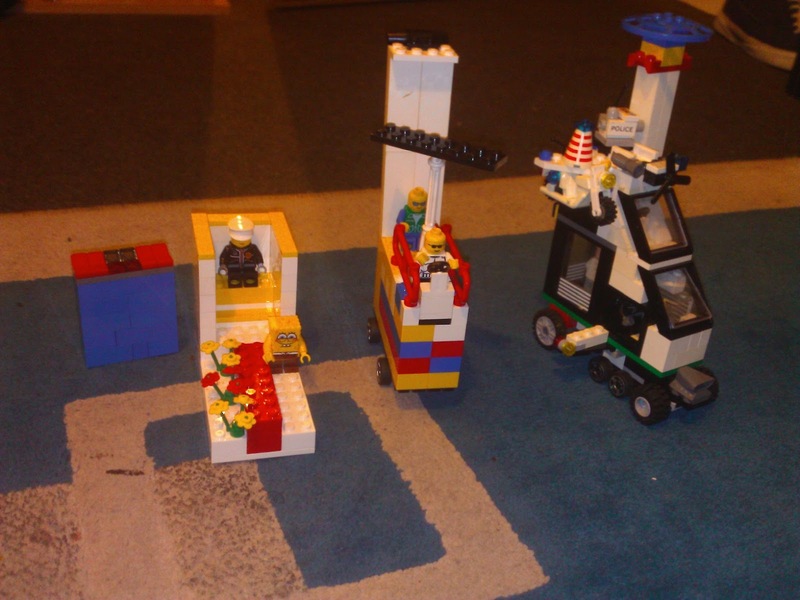 Paul's is on the right - he says "It's some sort of super police car with a jail in it" - again word for word. We all had fun together and we spent at least a couple of hours together - which not only meant we were having fun, but also spending time together, as a family which was really nice. 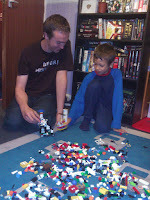 Above is a video of David playing with his finished creation - he had lots of fun making it and then playing with it afterwards. 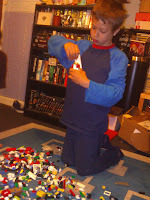 He says he likes Lego because it is fun and he can make anything with it. 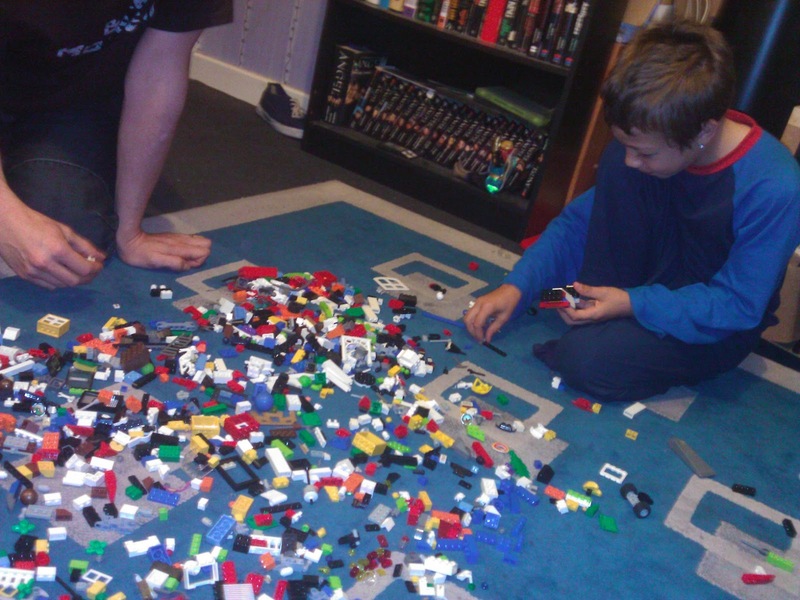 For anyone who does not know what Lego is - it's quite a simple idea... It's a set of bricks that stick together - anything from single pieces to large platform pieces, or - you get Lego people and trees, Lego windows and doors, Lego wheels, Lego flowers - basically, your imagination is the limit - it's very engaging for children, and I think even adults can get a little lost in play too - just because you get older, doesn't have to mean you don't get to use your imagination any more! You can buy tubs of it or individual items - for example, David has a Buzz Lightyear from Toy Story figure that is made of Lego, and a SpongeBob SquarePants Lego set too. 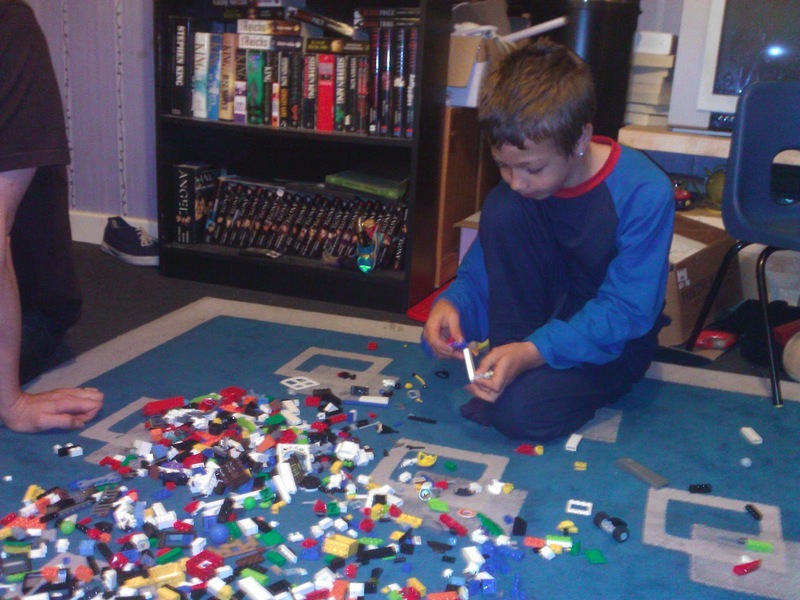 If you have a younger child, you can also get Lego Duplo which is just larger bricks that are less tricky and therefore more suitable for little hands - my son had some when he was younger and he loved that just as much as he likes his 'grown-up' Lego now. As for price, there is a large variation in price - smaller sets are usually cheaper, character sets (regardless of size) tend to be a little more expensive, and obviously bigger sets are on the more expensive side - in terms of value though, whatever you buy, Lego is definitely worth the money because it provides hours and hours of fun and endless use of imagination and creativity. I loved lego when i was little and my daughter is starting to get really into it too! 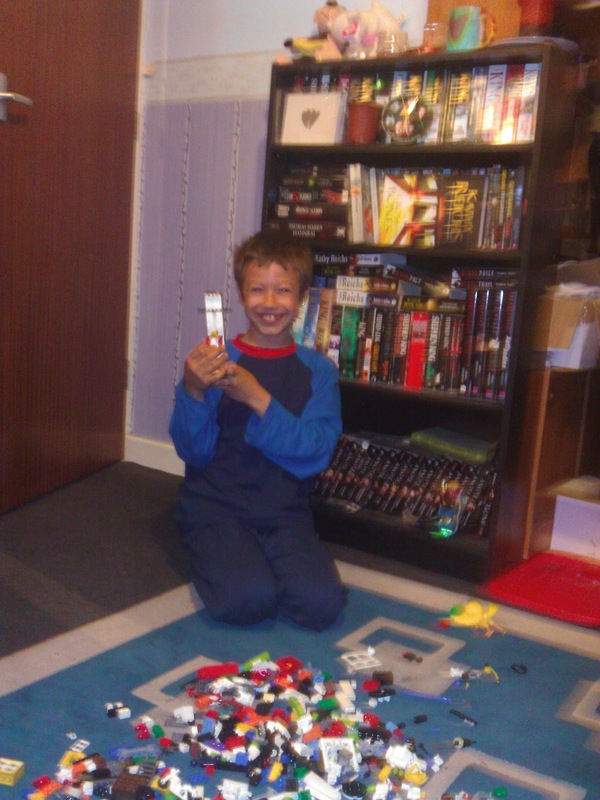 My son is still too wee but loves megablocks!